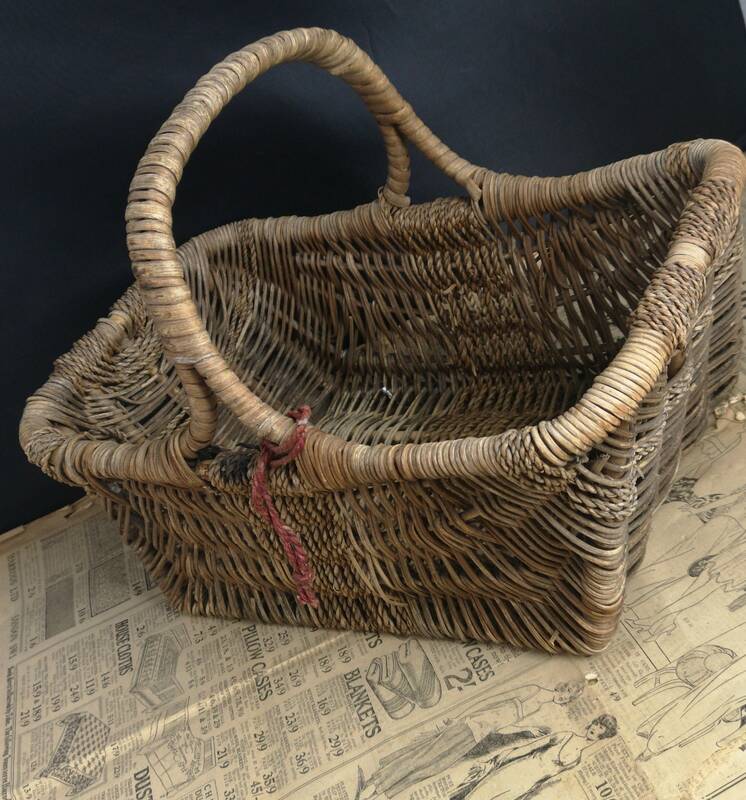 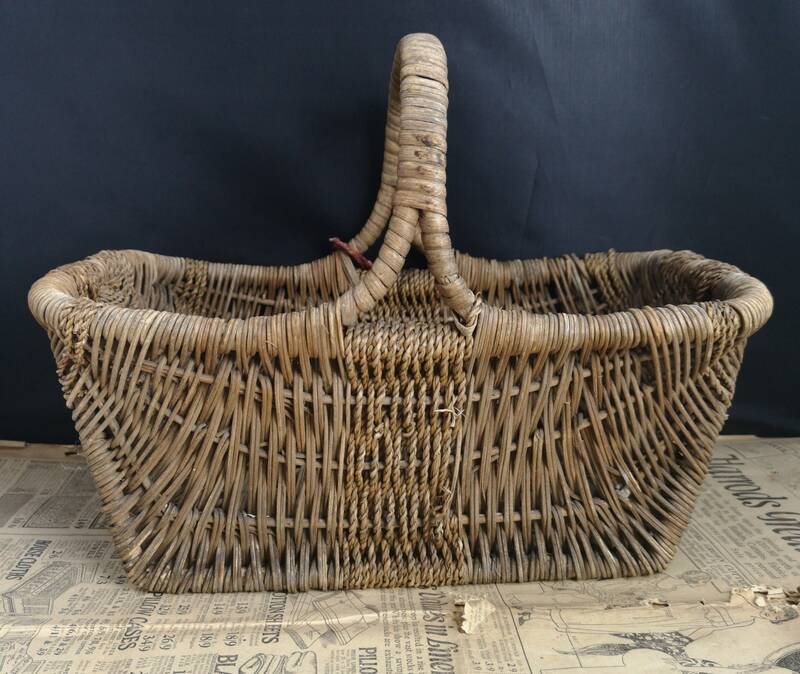 A charming rustic French wicker and wood gathering basket, primitive but oh so full of charm. 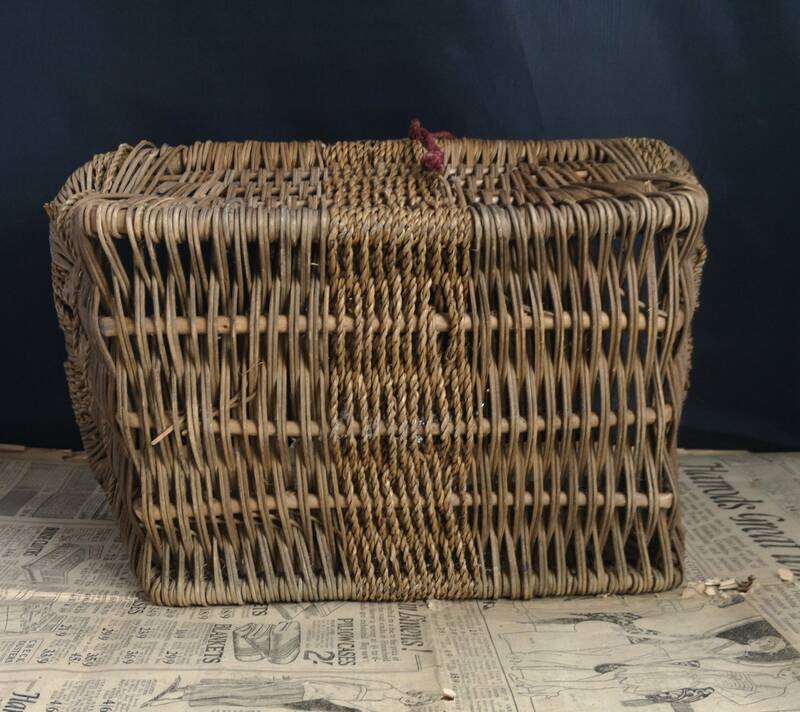 You can just imagine it being chocked full of sweet French lavender or freshly cut herbs. 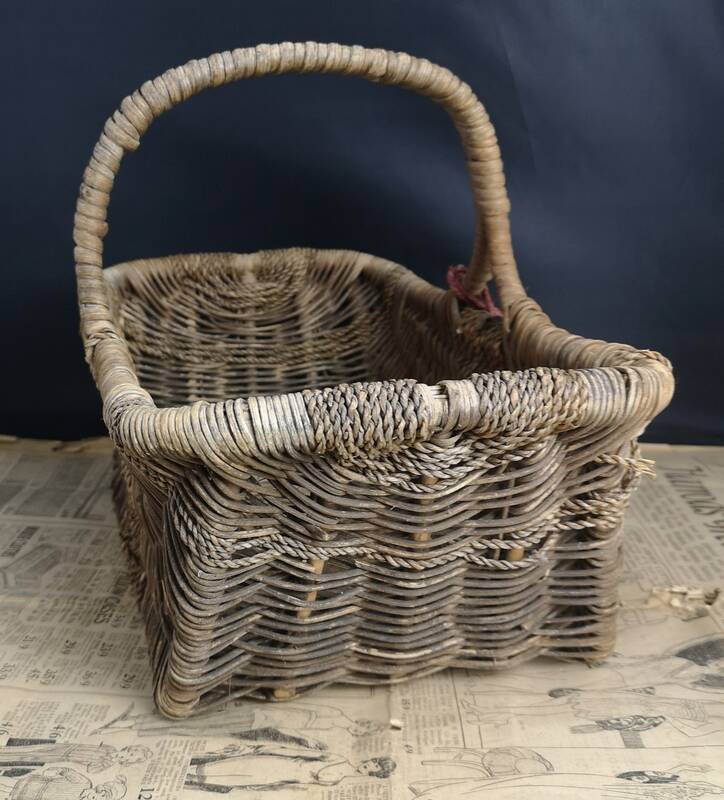 Made in France in the 19th century. 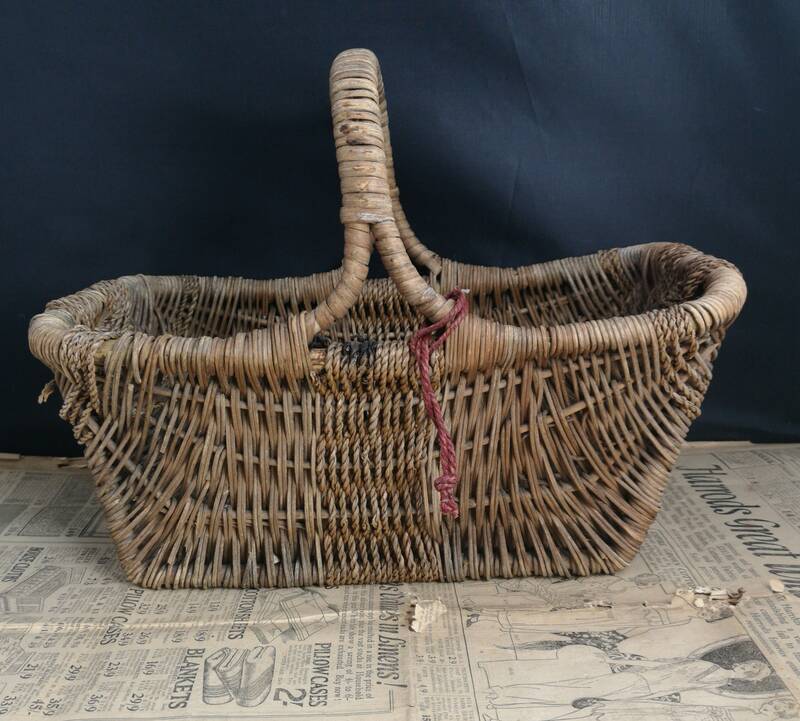 It has a taller handle for ease of carrying over ones arm and a nice deep elongated basket for gathering the finest produce. 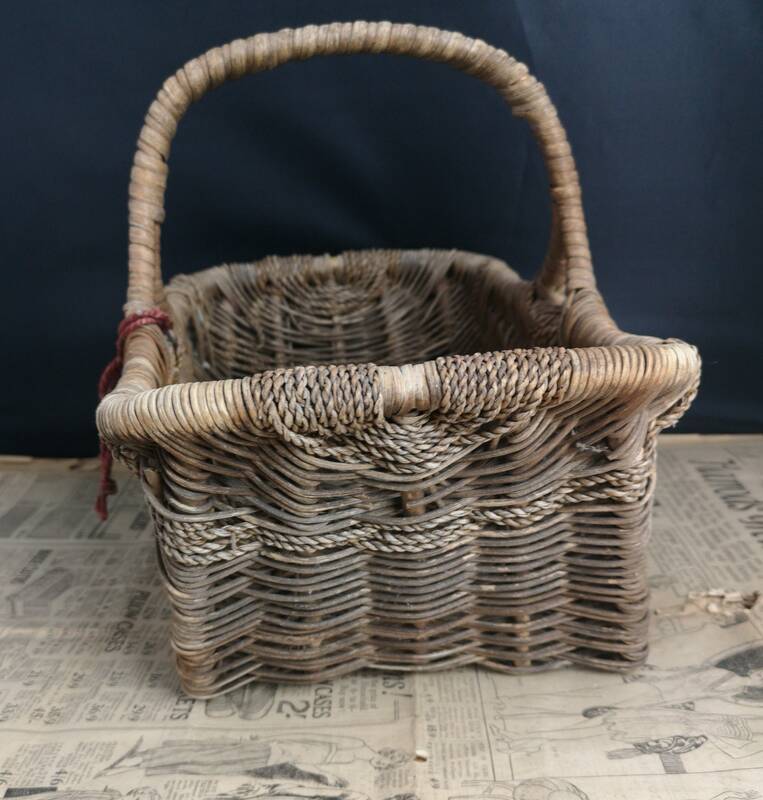 This antique French wicker basket is in good condition overall, lots of rustic charm but still nice and strong. 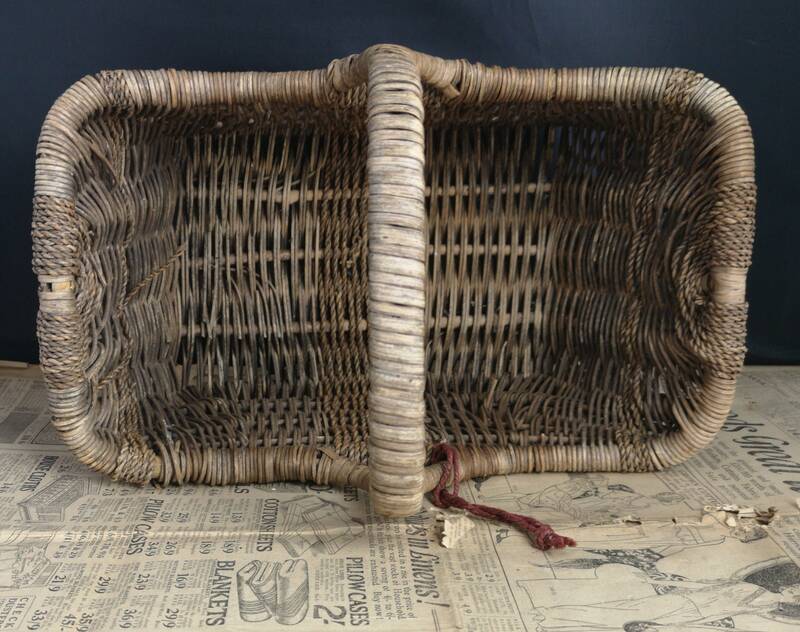 Approx 8.5" length and 14.5" width and 11" height including handle.